Sebco Property Developers offers an Approved Plots for sale near Trichy International Airport, with affordable cost. The Layout is 70 km from Chennai and 70 km from pondichery ( Situated between Chennai and Pondicherry). The layout is 28km from Chengalpet Railway Station. Thirukazhukundram Sivam temple is 14 km from our layout. World Famous Maamallapuram is 18 km from our layout. The layout is 1 km from Kalpakkam ECR Bus stop. Marine Engineering college and Great Lake College are 5 km radius from the layout. Approximately 18,000 houses around the layout. Banks and Kalyaana Mandabam near the layout. Residential Plots for sale in Suthanthira Garden at Trichy. 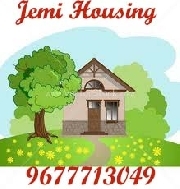 Residential Plots for sale in Irai ezhil Nagar at Trichy. 2 lots beautiful panoramic view to Ensenada and the ocean,near horseback riding,diving lessons,walking distance to the beach,pretty houses in the area....great place to relax!! Behind la bufadora motel. · Located in Melapachakudi Village. · 2 km from Trichy – Madurai NH45B highway. Plots for sale in St.Antony Nagar at Valliyoor. 5 km from Kanyakumari Six lane Highway. 2 km from Valliyoor to Tiruchandur Highway. Investment Plots for sale in Kuberan Nagar at Trichy. Located in CR Palayam Village. 4 km from Trichy – Chennai NH. Residential Plots for sale in Suthanthira Garden at Trichy. Located in Melapachakudi Village. 2 km from Trichy – Madurai NH45B highway. Residential Plots for sale in Iraiyanbu Nagar & Iraiyoli Nagar at Trichy. Located in Melapachakudi Village. 1 km from Trichy – Madurai NH45B highway. Jemi Ezhil Nagar is situated at HAPP (OFT), Suriyur Main Road. Very near to the proposed Ring Road (Tanjore to Pudukottai). 7 kms from TIDAL Park. Privatized land for sale. Location: Hovsani beach (25 miles to the South from Baku). 1 hectare. Located on the majestic Pacific coast of Nicaragua, Montecristo is an ideal combination of local charm and world class amenities. Its six distinctive neighborhoods offer a range of elegant options, all masterfully planned for your comfort and security. It also boasts a world class golf course. Montecristo Golf Club features a stunning 7,060-yard, par-71 course that stretches from the Pacific to high in the mountains. Come experience the magic of Montecristo, and discover a new standard for high quality living. Land for sale in the Meshref Damour area, Amazing view of the sea, on private gated road. I have a nice langkawi land ready for sale. This land is located just beside the main road of sungai menghulu until the beach. There are 11 chalets on that land as well. All the legal documents are ready. 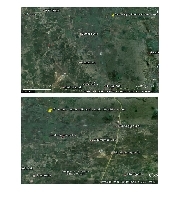 For those serious buyer, you can buy this land anytime.